All the schools of Indian philosophy, barring the Carvaka, are unanimous in asserting that the soul of the individual is quite different from his body, senses and mind. Yet, the undeniable fact is that all our activities, religious and temporal, emanate simply from our wrong identification of self with the body-sense-mind amalgam, the non-self and vice-versa. This mutual wrong identification is spoken of in the Sastra as atmanatmanoh parasparadhyasah. If closely watched, this superimposition proves to be the sole cause of sam-sara (the unending cycle of birth and death) and all its connected miseries. The Indian spiritual masters of yore had conducted serious investigations as to how to eradicate this evil of superimposition. They found that this evil can- not be annihilated by any direct means because there is no clear-cut antidote to demolish it. 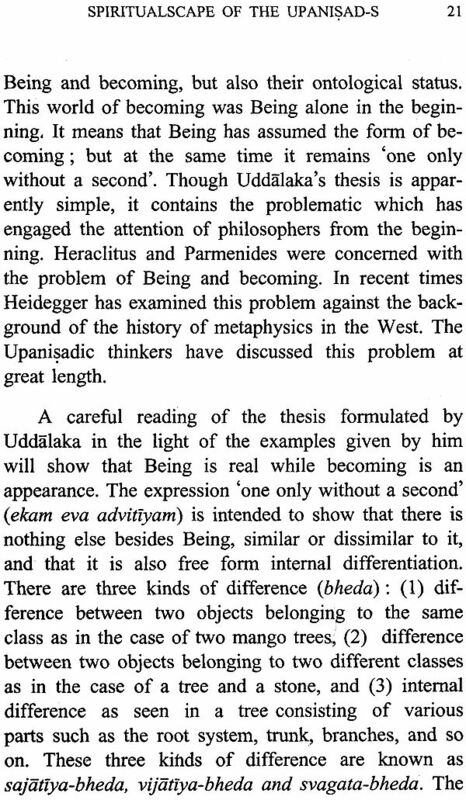 But its basic and only_ cause is avidya/ajnana, ‘ignorance’ about the reality of things and this has a sure direct destroyer in vidya/jnana, ‘the correct knowledge’ about the real nature of things. How does it attack avidya? 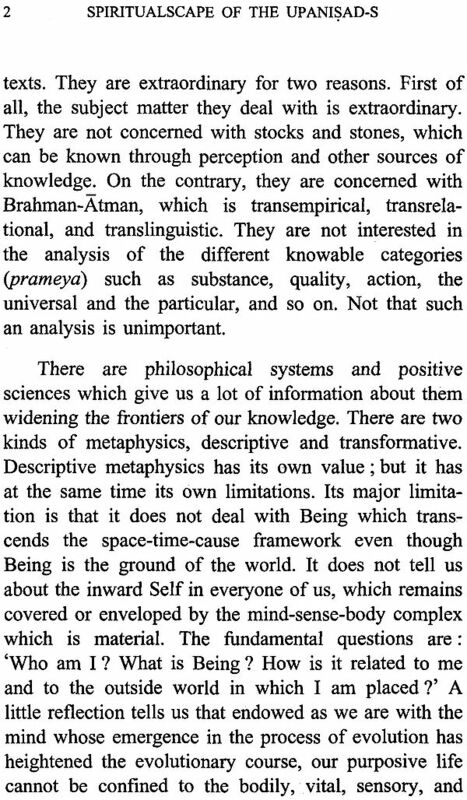 On logical investigation, this avidya, the cause, is found to function by means of its twofold power, namely, the power of concealing the real nature of things (avarana-sakti) and the power of projecting on the real what is unreal (viksepa-sakti). In the case of the well-known superimposition of rope-snake, our ignorance about the rope is found (l) concealing the real harmless nature of the rope and (2) and thereby projecting something of an unreal, poisonous nature, namely, the snake on the rope. This results in the mutual superimposition of rope and non-rope (rope-snake) leading to our confusion, fear of snake, running in terror away from the spot and so on. But the moment we come to know the real nature of the existing thing (rope) through the words of a knowledgeable bystander and through our own perceptive cognition, the concealing power of the rope-avidya gets destroyed; it leads to an automatic disappearance of its power of projecting the non-rope, i.e. snake, and to the annihilation of the rope—avidya itself and the rope—snake superimposition. Thereupon we are relieved of our miseries born therefrom. However one need not give up hope entirely. Our ancient seers have been kind enough to teach us a method of solving this problem, otherwise unsolvable, i.e. to break this mighty concealing power of avidya. They advise: A mumuksu needs to hear (srotavyah) repeatedly about the true nature of self (i.e. 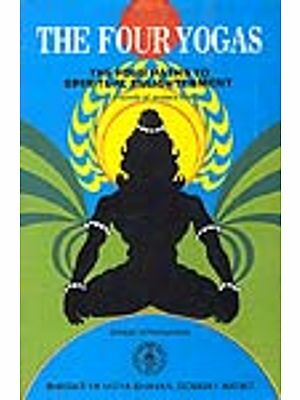 its identity with the Supreme, the Sad-Cid-and—Ananda combine) from the Sruti and from the preceptors; he needs to reflect logically (mantavyah) upon what has been heard about; and he also needs to meditate intensely (nidi- dhyasitavyan) upon what had been heard about and logically reflected on. This method, if practised faithfully and seriously, will surely help the mumuksu in breaking the formidable avidya in the long run. By way of helping such sincere mumuksu, the Upanisad—s themselves are kind enough to teach about the nature of self by adopting different modes and techniques. These modes of the Sruti passages may appear to differ from one another only because of the different intellectual equipments, spiritual advancement and so on of the disciples situated in different contexts. Yet, they are actually intended to teach harmoniously one reality, namely, the total identity of the individual self with the Supreme. 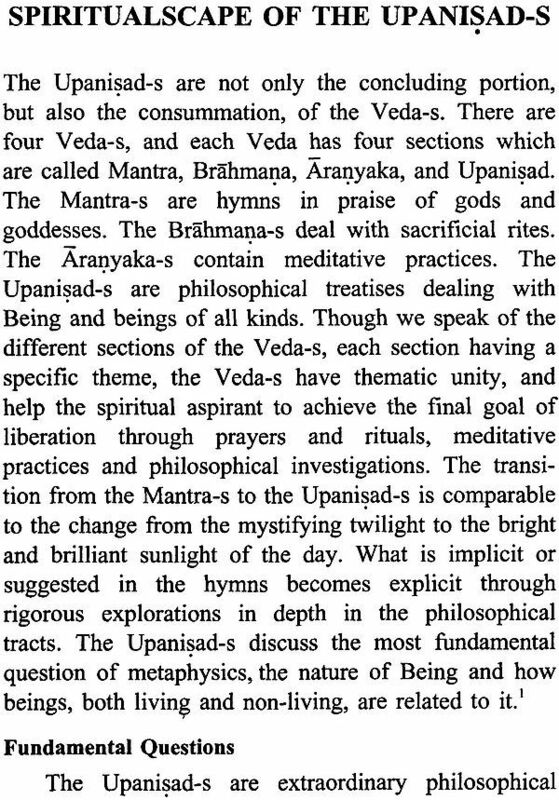 This unique spiritual help rendered by the Upanisad—s is beautifully highlighted in a learned research paper ‘Spiritualscape of the Upanisad—s’ by Professor R. Balasubramanian which appeared in the Adyar Library Bulletin, vols. 68-70 (2004-06). 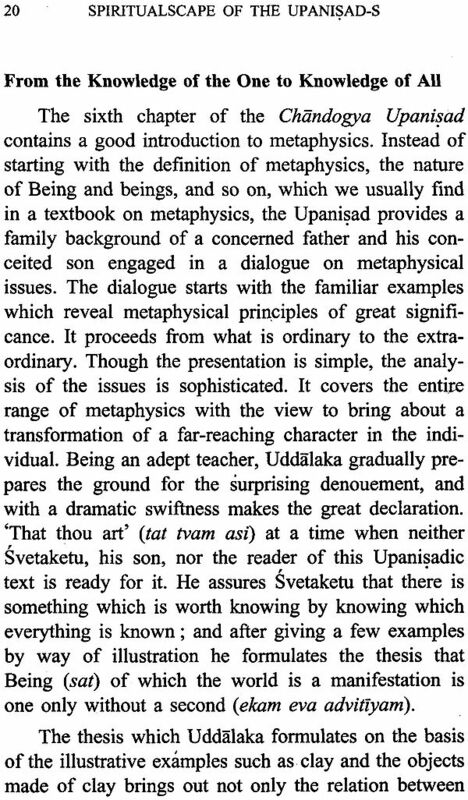 The author has been teaching Indian philosophy, particularly Advaita Vedanta for more than half at century in reputed universities in India. In this paper he has dealt with the subject methodically with his typical felicity, flair and style by using correct expressions in correct contexts. He has in his mind a wide circle of readers, namely, mediocre pupils, serious students and experienced scholars in Advaita Vedanta, and a also those, who are desirous of progressing upward on the spiritual ladder. Hence this paper reappears in the Adyar Library Pamphlet Series as no. 63. The Adyar Library and Research Centre was founded in 1886 by Henry Steel Olcott, first President of the Theosophical Society, for research in Eastern Civilization, Philosophy and Religion. Its aim is to promote understanding among the peoples of the world through knowledge of the higher aspects of their respective cultures. The collections of the Library consist of about 18,000 manuscripts, containing about 45,000 works, both palmleaf and paper, and some 2,00,000 printed volumes. The manuscripts are mostly from India and in Sanskrit. The printed books include old and rare Indological works and also a fine collection of books on the different religions and philosophies, in Sanskrit, English, and various other languages, eastern and western; and volumes of important Indological journals.